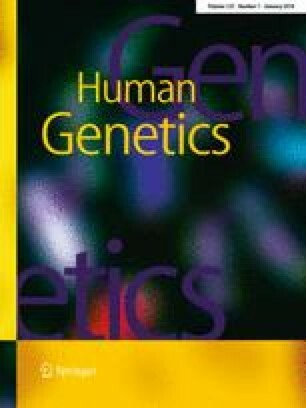 The purpose of this study is to identify microRNA (miRNA) related polymorphism, including single nucleotide variants (SNVs) in mature miRNA-encoding sequences or in miRNA-target sites, and their association with cardiovascular disease (CVD) risk factors in African-American population. To achieve our objective, we examined 1900 African-Americans from the Atherosclerosis Risk in Communities study using SNVs identified from whole-genome sequencing data. A total of 971 SNVs found in 726 different mature miRNA-encoding sequences and 16,057 SNVs found in the three prime untranslated region (3′UTR) of 3647 protein-coding genes were identified and interrogated their associations with 17 CVD risk factors. Using single-variant-based approach, we found 5 SNVs in miRNA-encoding sequences to be associated with serum Lipoprotein(a) [Lp(a)], high-density lipoprotein (HDL) or triglycerides, and 2 SNVs in miRNA-target sites to be associated with Lp(a) and HDL, all with false discovery rates of 5%. Using a gene-based approach, we identified 3 pairs of associations between gene NSD1 and platelet count, gene HSPA4L and cardiac troponin T, and gene AHSA2 and magnesium. We successfully validated the association between a variant specific to African-American population, NR_039880.1:n.18A>C, in mature hsa-miR-4727-5p encoding sequence and serum HDL level in an independent sample of 2135 African-Americans. Our study provided candidate miRNAs and their targets for further investigation of their potential contribution to ethnic disparities in CVD risk factors. The online version of this article ( https://doi.org/10.1007/s00439-017-1858-8) contains supplementary material, which is available to authorized users. The Atherosclerosis Risk in Communities study has been funded in whole or in part with federal funds from the National Heart, Lung, and Blood Institute, National Institutes of Health, Department of Health and Human Services (Contract Numbers HHSN268201700001I, HHSN268201700002I, HHSN268201700003I, HHSN268201700004I, and HHSN268201700005I). The authors thank the staff and participants of the ARIC study for their important contributions. Funding support for “Building on GWAS for NHLBI diseases: the U.S. CHARGE consortium” was provided by the NIH through the American Recovery and Reinvestment Act of 2009 (ARRA) (5RC2HL102419). Sequencing was carried out at the Baylor College of Medicine Human Genome Sequencing Center and supported by the National Human Genome Research Institute Grants U54 HG003273 and UM1 HG008898.